South-East Asia’s fashion and beauty e-commerce leader ZALORA invests further into m-commerce. 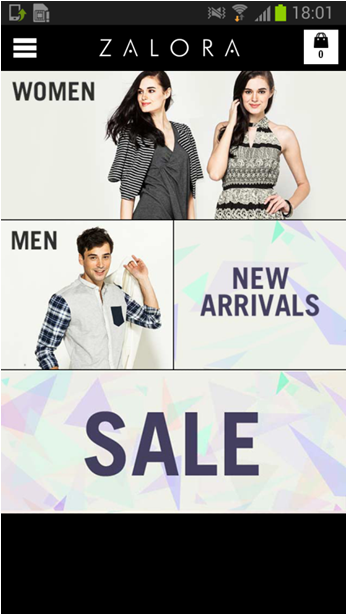 Experience Asia's biggest online fashion store with the new ZALORA Android app! Shop ZALORA and select your favorite fashion and beauty picks while on-the-go! What’s more – it’s free to download! Browse through over 500 local and international brands at the best prices. Receive updates on exclusive deals and latest promotions. Enjoy cash-on-delivery and free returns - shopping for fashion has never been more convenient. - Exclusive push notifications on new arrivals and special sales - you will never miss one again! 1000 people in 7 markets. shoppers to craft their desired styles. multiple payment methods including cash-on-delivery.